A live speaker and instructor are available to answer questions during this course. 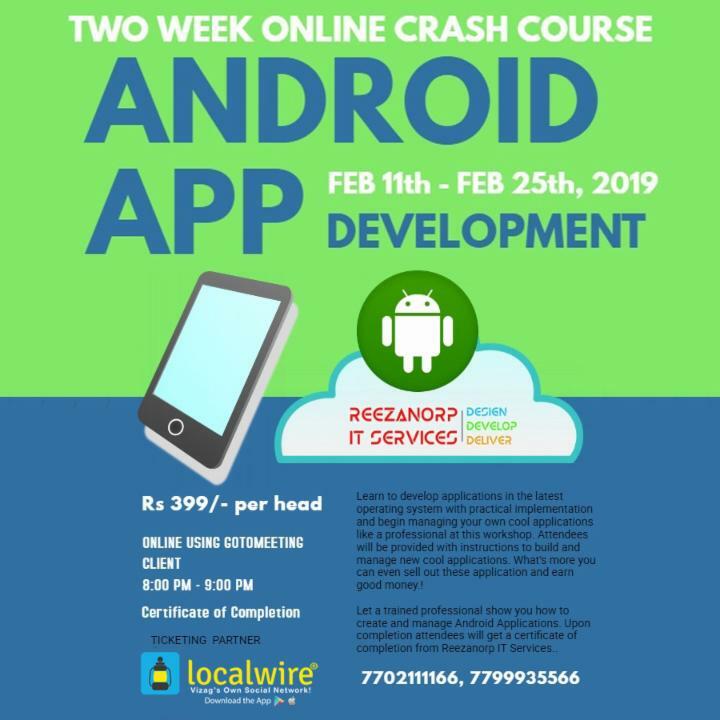 Let a trained professional show you how to create and manage Android Applications. Upon completion attendees will get a certificate of completion from Reezanorp IT Services. (III) As this is an Online course so classes will be conducted everday online from 8:00PM - 9:00PM using gotomeeting client so if anyone fails to attend the class can view or see the recording of the class in the google drive link which will shared on the first class of the course commencement.